January was a little shaky, fitness-wise. By February, I was starting to find my groove. I tried a couple new studios that became fast favorites. And I met many cool people, which was a bigger win than you may think. I’d just left the community of the dance fitness classes I taught back home. I’d gone from going to class and knowing almost everyone there to going to class and knowing no one. Familiar faces and smiles were a welcome sight! I was having so much fun, the great workouts were almost a nice side effect from the overall positive experiences I was enjoying. January was about toning and seeing if dance classes were for me or not. February saw a turn to more dancing and a return to my love of yoga! After a fun first month of POUND on ClassPass, I definitely wanted to keep the momentum going. While POUND is a great all-around workout, I love how much toning is involved. This class really helps my goal of adding toning to my workouts, which have been primarily cardio heavy the last several years. Why toning? To be ripped! Just kidding. I like to think stronger muscles means less risk of injury, in addition to other benefits. 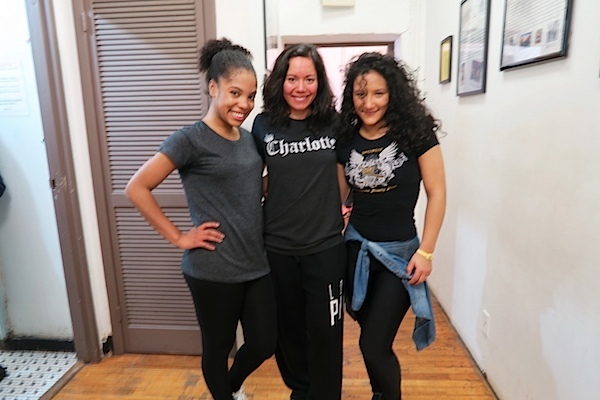 After a challenging first NYC Hip Hop class, I was still feeling intimidated about dance classes. But not defeated! I decided to check out some other studios around the city. One of the top ones I found was PMT Dance Studio. I emailed ahead of time to make sure their Beginner Hip Hop classes was for anyone, even people with no dance experience. I received a prompt response saying they were! Dev & Mo made class really achievable and fun. This class had a similar structure to the one I did at Broadway Dance Center. We started with a 30 minute warm up, including isolations, plenty of stretching, and ab work! Like a full JLo song’s worth of various ab workouts. Phew! After that, we did choreo for 60 minutes. I remembered being in class and getting a little confused about one step. Although Dev & Mo repeatedly made sure we knew we were more than welcome to ask questions at any time, I didn’t want to be that girl slowing everyone else down with my silly questions. But, wouldn’t you know it, someone literally asked my very question. And everyone in the class seemed really glad she asked. I knew I was. And I remember thinking, These are my people! I found somewhere I fit in. The song of the night was “Formation” by Beyonce. I took a packed class at Pearl Studios with Banana Skirt Productions. We learned Missy Elliot’s actual choreo for a live performance of “WTF”. This was a 60 minute class with a short warm up of (I think it was) 3 songs and then choreo for the rest of class. 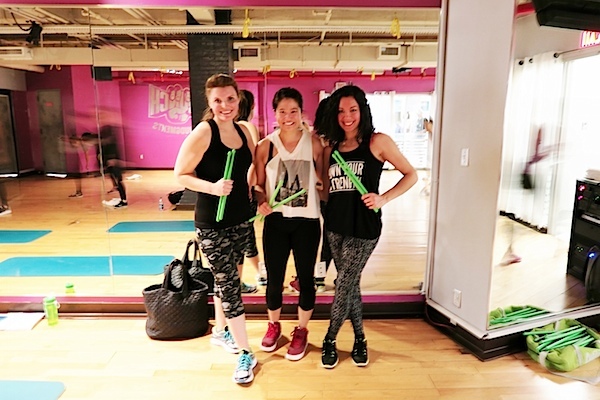 Marissa was a great instructor – super clear and very engaging. I had a good time! It was fun to search after class for the video of the live performance we’d just learned. I once tried to teach myself the “Oops I Did It Again” dance in college. I wasn’t very successful, but I did remember the step with the “box arms” at least. Luckily, Mitchell taught us the whole signature section of the song so I could learn the other steps. This remains one of my favorite Britney choreos I’ve learned yet! And I’m blogging about this in July after having taken many. Tip: This would be a great class to go to if you’re new to dancing or a little scared about trying your first class, like I was. The song and moves are a little slower, so I had an easier time picking them up. POUND – tone all the things! I have to thanks Ashley for helping me get back into yoga. It was on my list of workouts to revisit. But, when she asked me to meet her at Y7 Studio, it was just the push I needed to get started. I was really glad that I’ve done yoga before because Y7 is candlelit yoga and the instructor leads more through verbal directions. All the yoga classes I’ve done before had the instructor in the front so you could see and follow. So, this may be different if you try Y7 – just a quick heads up. Luckily, most of the people around me seemed to know what they were doing, so I was able to follow them when I was unsure about a move. 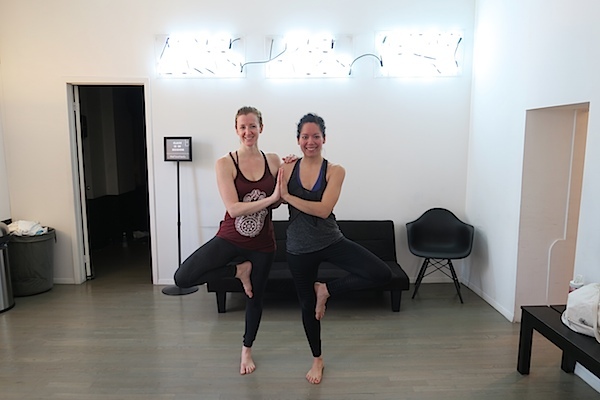 Y7 Studio specializes in vinyasa yoga and even does Hip Hop themed classes. Don’t be surprised to hear hip hop played in their usual WeFlowHard vinyasa classes, too. Another thing I’ve never seen before: classes here feature 3 flows where you’re led through them first very slow, then by breath. Finally, you’re then set free to rock the flow with your own style. It was a little difficult to remember all the moves at my first class, but it got easier with each class after. Not to mention the instructors always suggest you add or remove any moves you need, so you don’t have to worry about your flow being perfect. It was a great workout and the heated room really helped me break a sweat. I mean, I left completely drenched! I went back to PMT where Dev & Mo continued the “Formation”choreo. Since they have new participants at every class, we re-learned a lot of the choreo from the previous week. I really liked this because it helped solidify the choreo for me. And I felt more confident knowing some of the moves already. I was really meshing well with the Mitchell Wayne Productions class style. I stayed after class a couple times to talk to the dynamic duo behind the company, Mitchell and Annette. They are such genuinely nice people and are also so encouraging. If you’ve followed me on Instagram, then you know these classes are some of my favorites! I love how sassy and fierce they make everyone feel. For my third PMT class, we actually learned “Formation” again. Dev & Mo typically do one song for two weeks, so they apologized for teaching it for a third time. I, however, was thrilled! With my new boost of confidence, I decided to do what I’d seen so many others do in class – ask someone to video me. It was with great anxiety that I posted the video to my Instagram. But, I wanted my friends to see the cool choreo I was learning, even if I didn’t feel 100% confident in my dancing. I got so much positive feedback that I’ve kept taking and sharing videos since then! 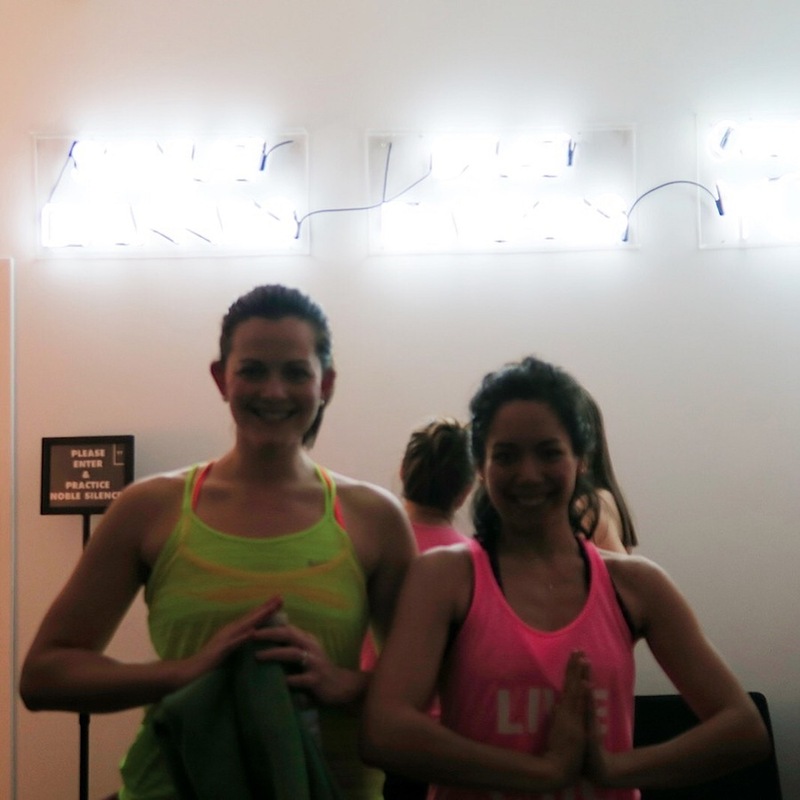 I ended up liking my first Y7 hot yoga class so much, I went back two days in a row – a Saturday and a Sunday. Another note about Y7 is that it isn’t super into meditation. 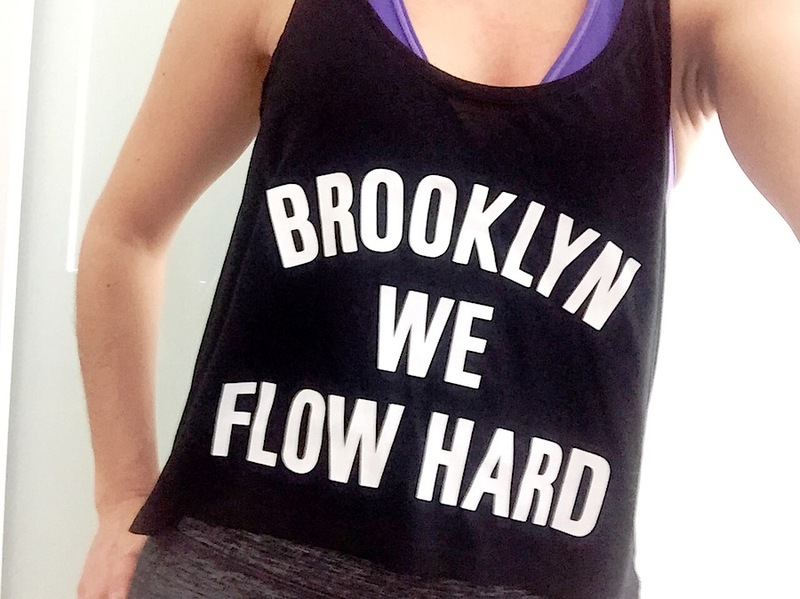 WeFlowHard is a pretty accurate class name since it’s a really fitness-y flow class. But, I do feel like I get small doses of zen in each class, so it works for me. I leave feeling like I got a great workout but also de-stressed and uplifted. I met Kate at this class (she was the instructor). She’s one of my favorite instructors at Y7. For some reason, I can follow her flows really well, and she’s really sweet too! And if you weren’t sure how much I fell in love with Y7, I got a shirt. Yup, I joined the tribe, and I love it! At some point, I decided to try to visit Mitchell Wayne Productions once per week. A class with M Wayne Pro is like a boost of confidence for the week. I leave feeling energized and happy. And who doesn’t want that? “Work B*tch” with @mwaynepro – will this filter hide where I got lost? 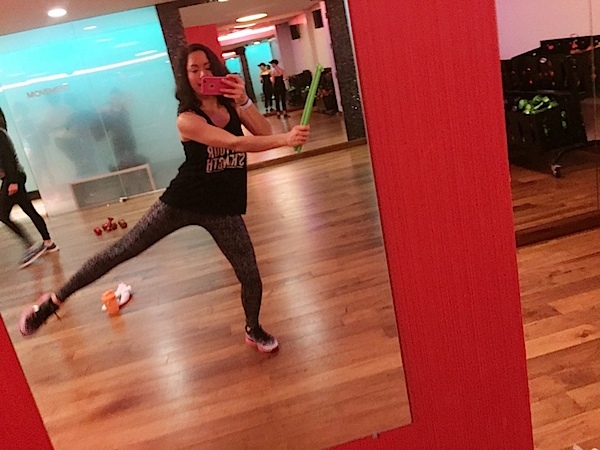 😁 Love the laid-back atmosphere in class and how you don’t have to get all the moves right to have fun! Work B*tch was a fun and useful one to do because Mitchell uses some of the choreo in warm-ups for other classes. Woop! 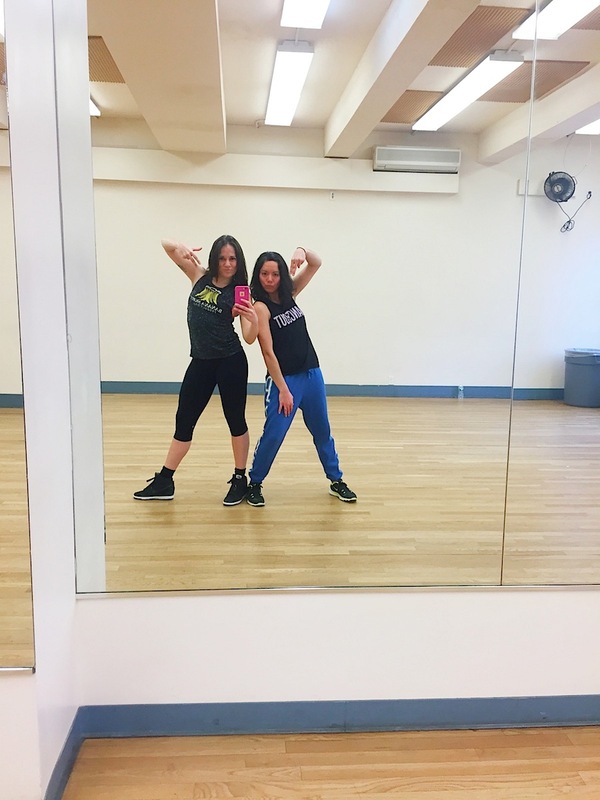 My friend Megan visited me, and she did a POUND class while she was in town! It was so fun to have a friend in class. I’d been telling her about it for awhile, so it was great to help her try it live and in person. 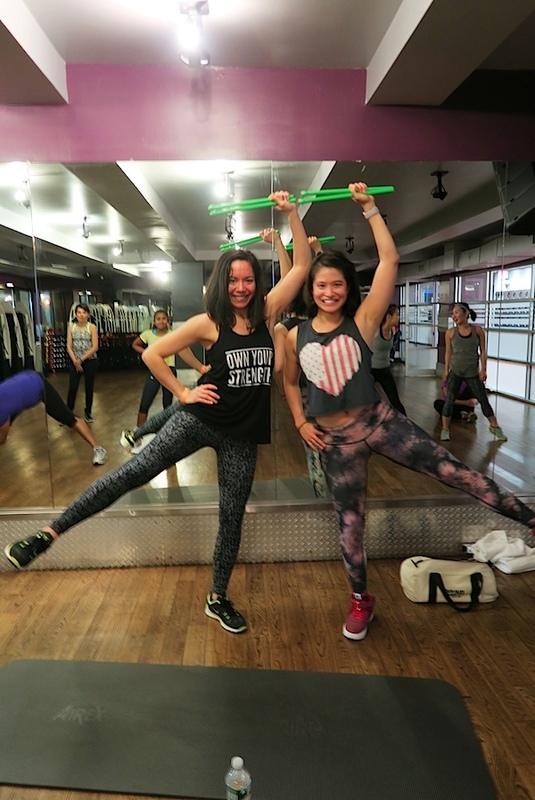 We actually did one more class together, but that will be in my March 2016 ClassPass NYC recap. If I was dipping my toes into the dancing pool in January, I really started to get into the water in February. I was still feeling pretty unsure about things but gaining confidence with every class. It was also great to get back into yoga. I missed the stretching but also the peaceful side of a yoga workout. Two months in, I was starting to fall in love with favorites while still looking out for new studios and classes to try. Yay for another successful month! And if you think this is good, wait till you see the next couple months! For a limited time, ClassPass is offering an extra discount on your first month via their referral program. If you use my referral code to sign up, we’ll both get $30 off a month. Woop! This isn’t a special blogger program. Anyone can join the ClassPass referral program. 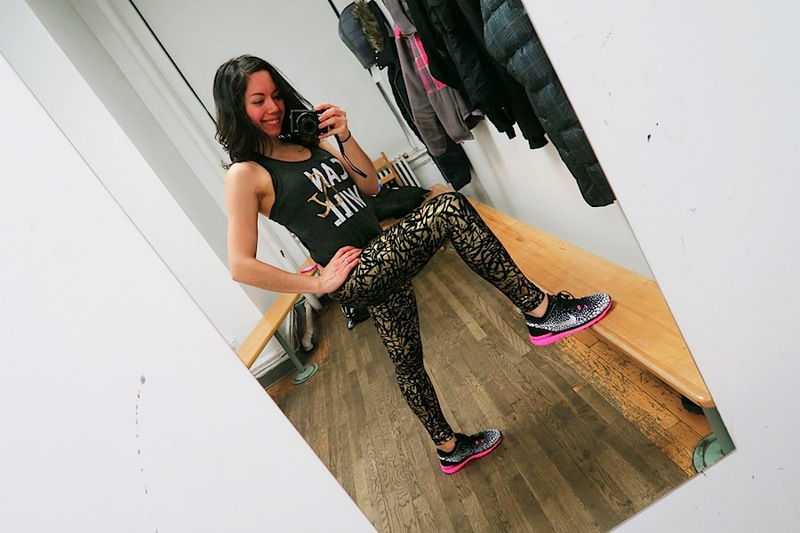 I’m sharing these blog posts and my referral code because I’m enjoying ClassPass so much! If you have any questions, please contact me so we can chat. Hope you enjoyed ClassPass NYC: My February 2016 Month Recap. Thanks for reading!